AGOZ Heavy duty rugged canvas vertical case is made of high-quality canvas with a great and stylish looking with a soft interior. It has a strong metal clip, two belt loops(to use vertically and horizontally), credit card slot, front buckle clip and velcro closure. 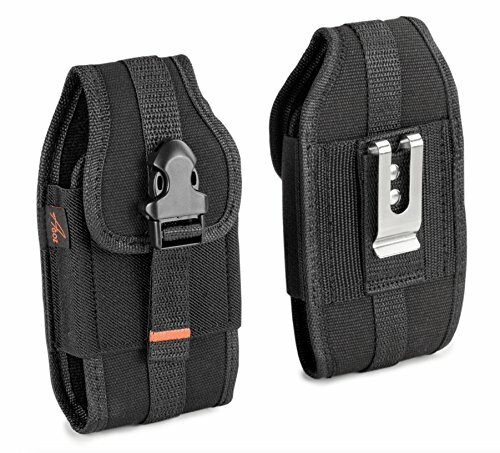 Package Includes: AGOZ Heavy duty rugged vertical canvas case with a metal belt clip, two belt loops and front buckle clip. AGOZ Heavy Duty Rugged Vertical Canvas Case with Belt Clip and Loops For Samsung Galaxy Note 8.